■Hair: pr!tty – Bellena – [All Color Huds] @Enchantment NEW! ■Dress: Infinity_Beauty and Beast Gacha @Enchantment NEW! * This is the BONUS BOX in Series 01 of Shadow Box. Once people purchase all 6 boxes they will receive this bonus box by going to the mainstore to collect it. 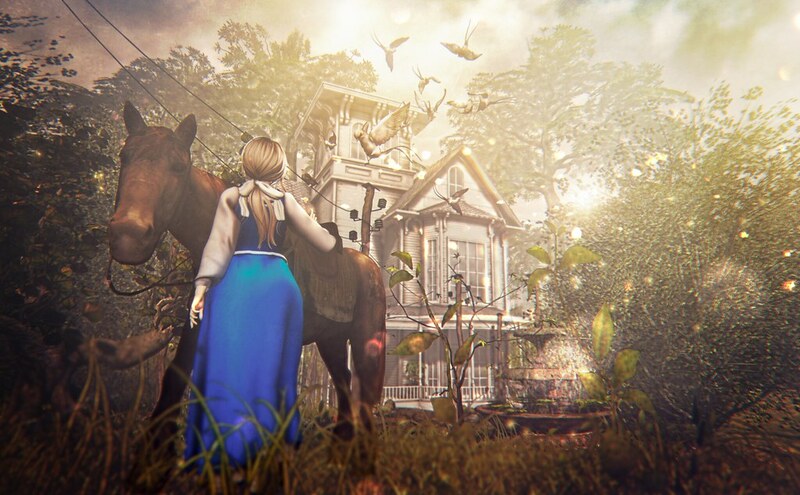 ■The Beast’s Lair Set: The Looking Glass TLG – The Beast’s Lair Gacha @Enchantment NEW! ■Horse and Pose: Fashiowl Poses – Philippe @Enchantment NEW!